SAN FRANCISCO, Calif. – June 9, 2016 –Today, DoubleDutch unveiled powerful new capabilities and enhancements to its Live Engagement Platform to provide marketers with unprecedented visibility and control of live events. With this release, the DoubleDutch Live Engagement Platform, which transforms analog events into digital social experiences, will offer an expanded ecosystem of applications, integrations and performance metrics. DoubleDutch will reveal the new capabilities at World Education Congress (WEC), June 11-14, 2016, which is put on by Meeting Professionals International (MPI), a DoubleDutch customer and the largest meeting and event industry association worldwide. 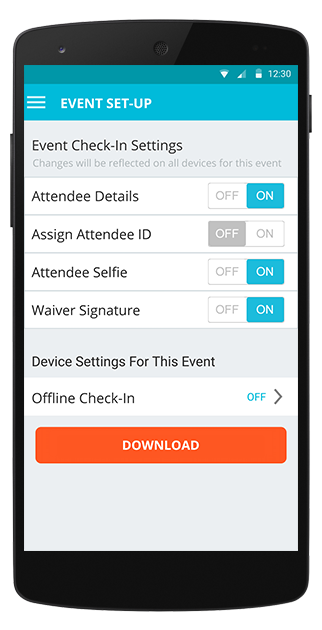 The DoubleDutch Live Engagement Platform now enables event organizers to efficiently create and manage all events on one platform and provides attendees with smart recommendations for sessions and people connections. Users can also facilitate seamless meeting scheduling, and transfer attendee signals to marketing automation and CRM systems for personalized follow-up in real-time. Event Copying and Templates: The platform empowers customers to efficiently manage several or hundreds of events. Customers can easily recreate past events in minutes, copy content, surveys, polls, and more, and consistently repeat portions of the event, saving hours of preparation. In addition, the platform provides a variety of templates for specific event types (such as a user conferences, sales kick-offs, trade shows, etc. ), and offers layout recommendations to ensure success, based upon best practices. Smart Recommendations: Taking engagement to the next level, smart algorithms at the core of the platform now provide a personalized experience for each individual. Attendees can now get in-app recommendations on sessions they may find interesting while they plan their schedules, as well as people they may want to connect with to better accomplish networking goals. Attendee Meeting Scheduling: Scheduling face-to-face meetings at events can be a manual, time consuming and inefficient process. Attendee Meeting Scheduling removes the friction of facilitating in-person interactions by allowing attendees to seamlessly request and accept meetings, enter meeting details, choose from mutually available timeslots and more. Marketing Automation and CRM Integrations: The Live Engagement Platform captures behavioral data across a broad spectrum of activities at an event, and distills that data into metrics and insights. Marketing and sales teams can use this data to understand the interests of each attendee, and personally respond in ways that inspire action. 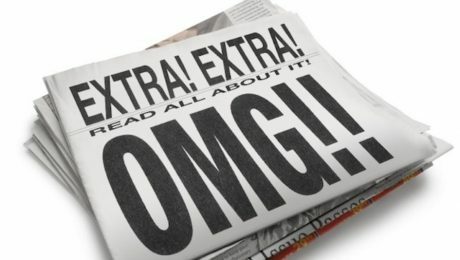 Now, the data can be transferred into an organization’s marketing automation system, such as Marketo and Eloqua, or a CRM system, such as Salesforce, to score leads, trigger targeted campaigns based on activities, monitor prospect activity with alerts and enable personalized sales follow-ups as the event happens. This announcement comes on the heels of DoubleDutch’s introduction of the industry’s first Live Engagement Platform that empowers event organizers and marketers to evangelize, energize, monetize and optimize live marketing events. By doing so, they are able to increase pipeline velocity, accelerate the sales cycle, improve customer retention and enhance brand awareness. This has not only fundamentally changed the way event organizers engage and energize attendees, but has also created a brand new marketing channel. The DoubleDutch Live Engagement Platform is an ecosystem of applications, integrations, and performance metrics that allow event organizers and marketers to digitize live event experiences, capitalize on engagement signals, and supercharge business outcomes. These engagement signals are distilled down into insights that can be used to unlock a new class of marketing and sales leads, trigger targeted campaigns based on show floor activities and interests, and enable personalized sales follow-ups in near real time. The suite of DoubleDutch Live Engagement applications allows event owners and marketers to manage engagement and participation, insert sponsor and exhibitor communications and offer detailed analytics applications to monetize and optimize business results. NORWALK, Conn., June 1st, 2016 – etouches, a top global provider of cloud event management software, today announces the acquisition of Zentila, an enterprise SaaS company that provides smarter venue sourcing and booking with a primary focus on corporate and third-party meeting/event planners. The acquisition demonstrates etouches commitment to continue to provide clients with superior product features and functionalities for the optimal management of their end-to-end event process. Aggregates proposals in an interactive bid summary to automatically manage updates and calculate costs and savings, so planners can easily compare offers. Replaces traditional, one-size-fits-all online advertising with a targeted model; hotels present custom offers that match planners’ RFP requirements. etouches is a global end-to-end event management software solution. 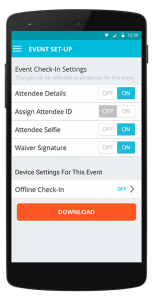 The success oriented and cloud-based event management platform delivers innovative technology solutions to streamline the event process and increase ROI. Founded in 2008, etouches has assisted over 20,000 event professionals in planning, executing and measuring their events. With a focus on event sourcing, registration, marketing, logistics, engagement and data, the software solution has served more than 1,200 customers in corporations, associations, agencies and educational institutions. Headquartered in the United States in Norwalk, Connecticut, the company has global offices in the United Kingdom, Belgium, Australia, Dubai and Singapore. Learn more about etouches at etouches.com. Minneapolis, May 23, 2016 – Participants at meetings and events worldwide can now give honest and uninhibited feedback on topics under discussion thanks to the latest updates to the Meetoo audience engagement app from Lumi. Meetoo is a real-time messaging and polling app that engages audiences to capture insight. The new release allows the moderator to disable the creation of participant profiles. The audience can now use the messaging and polling anonymously, eliciting more candid responses to questions. The profile settings can be changed on the fly, before or even during the meeting to enable an almost instant response to changes in mood or circumstance. Meetoo is already being used extensively across the globe by customers such as AIG, KPMG, eBay and PwC. “Interaction between our participants was seamless. For the first time, everyone in the room was able to comment and contribute during the presentation. Meetoo helped us create one of our most engaging events yet,” reports Meg Gneiting, board of directors – director of social media, SITE SoCal. 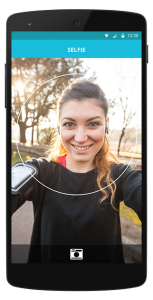 Changes in privacy settings are just part of a list of new features developed by Meetoo in response to customer demand. Further enhancements focus on customization of the app–users are now able to tailor the welcome page to include key information such as instructions, speaker biographies, agendas and website links. Users can also change the appearance, theme and branding of the app for individual meetings and include images, logos or photographs. This can be done at any time – even when the meeting is running – giving users absolute flexibility to respond to requests and changes. “Meetoo provides an unparalleled understanding of attitudes, opinion and behavior in a dynamic and innovative way. We believe that being able to customize the app to more closely meet the needs of each individual customer will help make it an even more indispensable tool for adding significant value both during and after their meetings and events,” concludes Richard Taylor, CEO of Lumi. Online registration system with the flexibility of meeting any custom business requirements! San Francisco, CA: Eventbee Inc., the online event registration and ticketing software company, announces the availability of Eventbee for Business today. The company is excited to premiere the new Business tier, which extends the power of the Eventbee Platform to cater to custom business needs. “Innovation isn’t something new at Eventbee. In 2008 we revolutionized the ticketing industry with our $1 flat fee per ticket pricing model. We’re leading the industry again by introducing ‘Ticketing Rules’ as part of this release.” said Bala Musrif, Founder and CEO of Eventbee. “As we began researching online registration applications, we could not find a solution that specifically met our needs for a complex registration process. Eventbee, however, accommodated our requirements by creating customized ‘ticketing rules’ to prevent registrations being made during conflicting days and times, while staying well within our budget.” said Kathy O’Hern of Montana Association of Weavers & Spinners. Headquartered in San Francisco, Eventbee Inc. provides innovative online registration and ticketing tools to the events industry. Since 2003, over 50,000 event managers in 170 countries have sold tickets in 30 different currencies while processing ticket sales in hundreds of millions of dollars. With offices in 3 continents, Eventbee operates with a single mission of providing the latest technologies to the event managers all over the world, while partnering with PayPal, Stripe, Braintree and Authorize.net. NEW YORK, May 19, 2016 /PRNewswire/ — Convene, the leader in workplace hospitality and the nation’s fastest growing network of meeting, conference, and event spaces, announced that the company has raised an additional $20M in a Series B extension. The additional funding is led by Brookfield Property Group, a new strategic investment partner and global leader of premier office assets with over 150 properties totaling 100 million square feet, and Arrowpoint Partners, following additional contributions from Convene’s existing shareholders Conversion Capital, Boathouse Capital, and Sunrise Capital Partners. Along with the original $15.5M Series B funding, today’s extension brings the total Series B round to more than $35M, and the total amount raised by the company since it was founded in 2009 to $51.2M. The equity round was supplemented by $15M in strategic debt financing from Arrowpoint Partners, which includes a $30M accordion option. The latest funds are being used to expand Convene’s footprint from 10 locations to over 20 and will include several key strategic acquisitions. The current round will be followed by a much larger Series C round later this year to support the company’s international expansion and add new product and service verticals to its evolving platform. Convene is the nation’s fastest growing network of meeting, event, and conference venues that combine technology, culinary, production, and human-centered design into a transformative user experience. In partnership with leading commercial landlords, the company leverages its workplace-as-a-service platform to provide on-demand amenity solutions for building tenants and their employees. We are honored to host the world’s most powerful and influential organizations, and to also earn industry best NPS customer satisfaction ratings from them. Over 66% of Fortune 100 companies partner with Convene for all types of meetings and events – large and small. We serve over 150,000 participants each year across our 10 locations along the East Coast of the United States. To learn more, visit www.convene.com. UNITED STATES, NORWALK, Conn., May 12, 2016 – etouches, top provider in cloud event management software, today announced it has closed $20 million in growth funding from new and existing investors. The funding will help to accelerate the event platform’s global growth in the consolidating market and further boost the platform’s development in covering end-to-end event management solutions for the enterprise market. Over the last year, the company has expanded its business to new markets, including the Middle East and Singapore, and significantly strengthened its existing teams in the Europe and Asia Pacific regions. The company also completed 2 successful acquisitions in the same period. Currently, the company has 150 employees around the world and plans to grow to 200 globally by the end of 2017.
etouches is a global end-to-end event management software solution. The success oriented and cloud-based platform delivers innovative technology solutions to streamline the event process and increase ROI. Founded in 2008, etouches has assisted over 20,000 event professionals in planning, executing and measuring their events. With a focus on event sourcing, registration, marketing, logistics, engagement and data, the software solution has been able to serve more than 1,000 customers in corporations, associations, agencies and educational institutions. Headquartered in the United States in Norwalk, Connecticut, the company has five additional global offices in the United Kingdom, Belgium, Australia, Dubai and Singapore. Learn more about etouches at www.etouches.com. The Must Go Award was designed to recognize events before they happen, so that people in search of events have a recommendation of which ones they should attend. Recipients of the Must Go Award receive a Must Go Award badge to show off on their website and other marketing materials, as well as three days of SpinGo Boost marketing on calendars in their area. The award serves as an additional marketing resource to attract attendees and press to their events. Winners of the June 2016 Must Go Award include Ribfest Chicago 2016, Old Town Art Fair, Vintage Garage Chicago, 2016 Ocean Beach Street Fair and Chili Cook-Off Festival, the 22nd Annual Taste of Gaslamp, the AVP Pro Beach Volleyball Open, the PIER 39 Summer Wine Pour, the 62nd Annual North Beach Festival, and the Throwback Festival 2016. 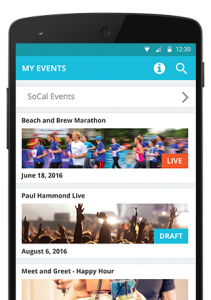 Since 2012, SpinGo has been committed to helping event makers—producers, planners, marketers—create successful events. 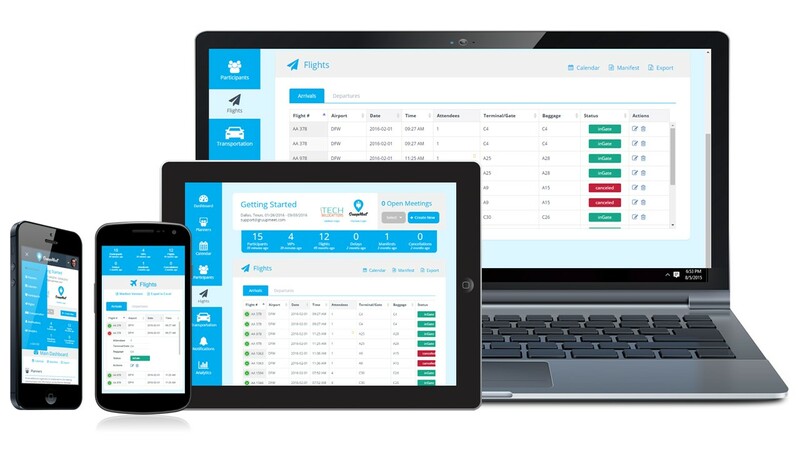 Armed with real-life experiences and extensive market research, SpinGo develops tools and services that simplify the event planning, management, and promotion process. The company is backed by EPIC Ventures and Prelude. Further information is available at spingo.com.